This should go great with the Target gift card deal! This coupon should pair up nicely with the $1/1 Target Kellogg’s cereal coupon! Plus, see if you can price match to get an even sweeter deal! Coupon link in the lower right hand corner! Coupon is on the lower left side of the page. Fill out and submit the form to receive the coupon. Coupon is on the lower right side of the page. Print limit is one. If you shop at Target, don’t forget to combine with the Target printable coupon available for $1 off one Kellogg’s cereal. In fact, tomorrow, Target will start a new Kelloggs promotion: Buy three boxes of cereal and get one free. With these printable coupons plus the Target coupons, I am sure there will be some really good deal to be had. Kellogg’s $10 Bonus Bucks Offer: Buy three specially marked Kellogg’s cereals and get $10 bonus buck to spend on electronics, toys, sporting goods, books, concessions and movies! Click on “Special Savings” in the upper-right corner and login or register to access the coupon. 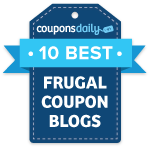 Thanks, Hip to Save, Printable Grocery Coupons and Deals, and Common Sense with Money!